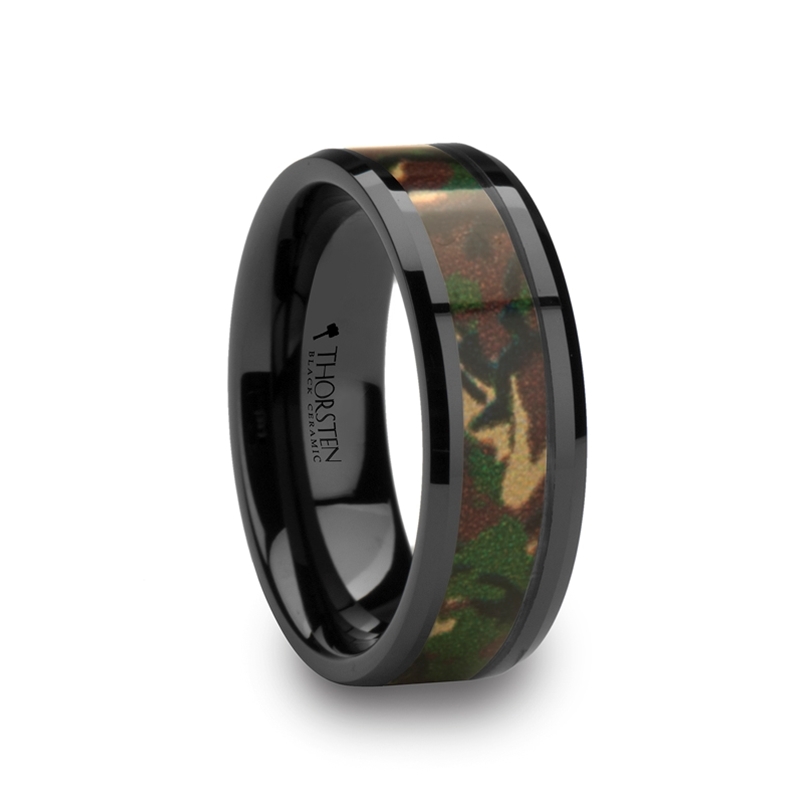 The leading men’s wedding bands retailer announces the addition of the new camo wedding rings line by Thorsten Rings, which are made in both tungsten and ceramic. 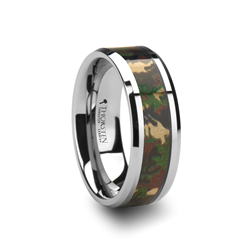 Larson Jewelers (http://www.larsonjewelers.com) is proud to introduce the all new Thorsten camo wedding rings line that features real military style camouflage in color. Camouflage design has been used in fashion and design for decades now, but has only recently gained in popularity as a design element in wedding bands and jewelry. This unique style is available in tungsten carbide and black ceramic, and people can choose either jungle or desert camouflage design. These camo rings are different from what is currently on the market because, most camouflage ring designs use hunter’s camouflage design, while Thorsten’s line uses the classic military style camouflage design. There are some designs out in the market that engrave military style camouflage patterns on the rings, but they are not in color, which kind of defeats the purpose of the design. Thorsten’s line incorporates real color and real military style design, which makes their line the first camouflage rings line that truly is a “real” camo rings line.“ The designers at Thorsten Rings really hit the nail on the head with their camo wedding rings line by using classic camouflage design and by making it in color, which many manufacturers out here just are not doing.” says Thomas Larson, co-founder of Larson Jewelers. Camouflage patterns used for fashion and design has now become mainstream, both in the US and internationally. It used to be considered just for hunters and outdoors-men, but urbanites, women, and people from every walk of life now days find this style shows their individualistic side as well as their adventurous side. Of course, this style will still always appeal to military and outdoorsmen and women. To give customers more options, this new line will have jungle and desert camo designs, and is available in tungsten carbide as well as black ceramic for a really awesome look. Of course, all these new styles comes with Thorsten’s unbeatable manufacturer’s lifetime warranty, which covers size exchanges for life, as well as replacement in case of accidental damage. For a limited time, use coupon code LOVE30 to get an extra 30% off all Thorsten branded products at Larson Jewelers.